Here is the perfect addition for your next tailgate, holiday party or breakfast! This recipe is easy and super yummy! Remove biscuits from cans and split each biscuit into to two. Place each biscuit round into muffin tin. 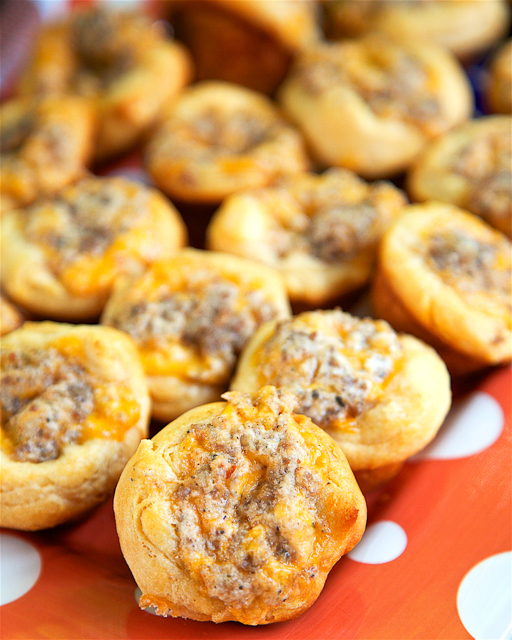 Scoop sausage mixture into biscuit cups. Thank you to Plain Chicken for this recipe! To print this recipe Click Here.